When you read ‘Grand Touring’, do you think of a Cortina with a little red badge on the back wing? Or do you think of Kevin McCloud’s recent television series, evoking memories of Grand Tours by adventurous Victorians? (We’ll just forget, for a moment, that our Kev did his Grand Tour in a 1960s FIAT 500.) 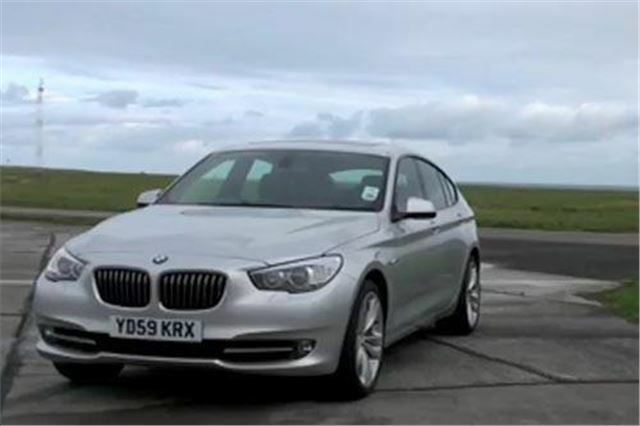 The BMW 5 GT (or ‘Gran Turismo’, as BMW chooses to call it) is all about crossing continents in comfort. 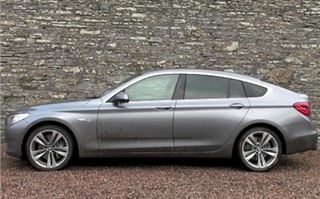 It’s effectively an amalgamation of the most appropriate aspects of a big saloon and a big SUV (not of a coupe and an SUV as is the case with the X6). 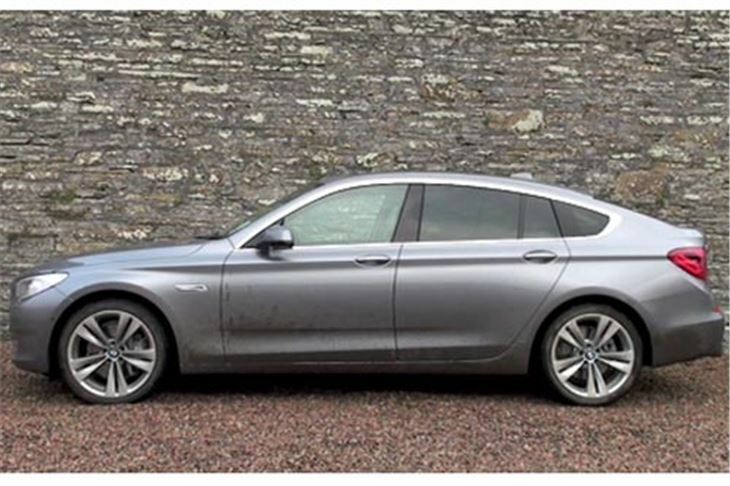 So you get four big seats (or five seats inside the cheaper versions), lots of leg and headroom, a slightly elevated driving position, and a complex arrangement at the rear that makes the car either a fully enclosed saloon or a hatchback. Like the Skoda Superb, you can open either a postbox-like boot lid, or the whole hatchback. And, as is the case with the Superb, you don’t get a rear wiper. 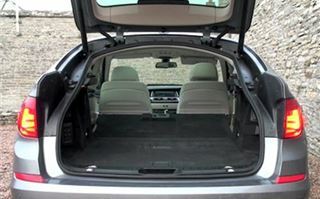 You can take out the hefty rear parcel shelf and stow it neatly in a special compartment made for it under the load floor. 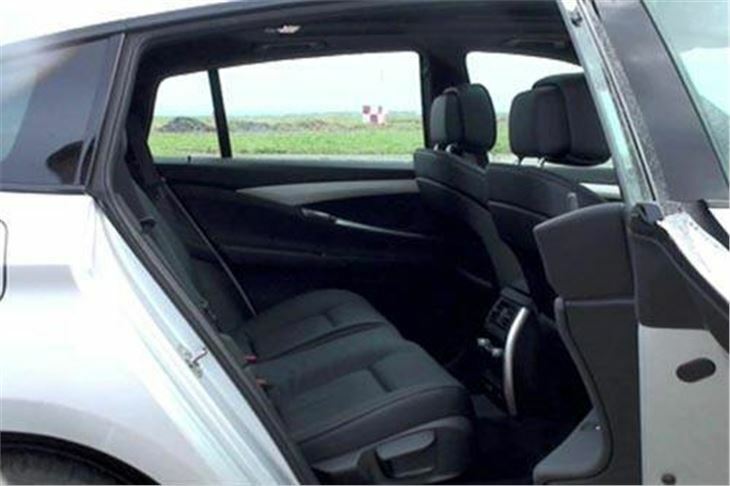 Then, depending on whether the car has electric folding rear seats or not, you can convert the whole back into load area by pressing buttons and pulling catches. A split rear bulkhead folds on top of the seatbacks giving a solid load floor. In the ‘Executive’ version the two electric rear seats each slide forwards and recline. In the standard version, the seats slide and recline manually, but not by as much. 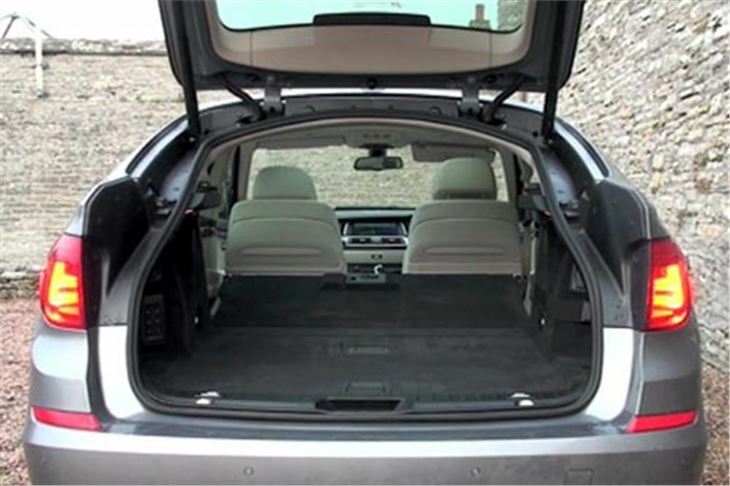 A panoramic sunroof greatly brightens the interior and would have allowed Kevin McCloud to enjoy the more vertical architecture on his Grand Tour, had he chosen a 5 GT to do it in. Curiously, despite serious torque from low RPM the 535i drivetrain felt caught out by uphill hairpin bends, hesitating slightly before unleashing the ferocity of its power with a banshee howl. 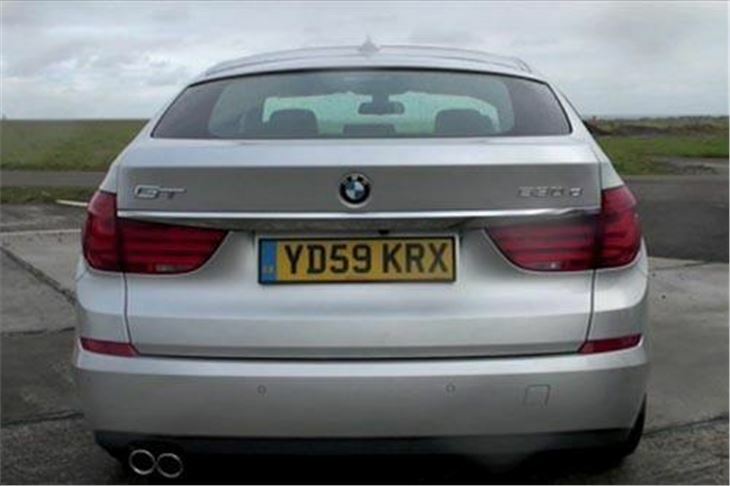 The 530d was much punchier in this circumstance and for reasons of CO2, tax and fuel economy is the more obvious choice. Remarkably, for such a big car, at 173g/km it even creeps under the 180g/km CO2 limit for most company cars these days. And it doesn’t sound too dieselly. I can’t imagine BMW selling very many of the other engine variants. The 530d and 535i GTs come on standard 18” wheels with 245/50 R18 Runflat 3 tyres that give far more cosseting quality than anyone familiar with RFT3s could ever imagine. 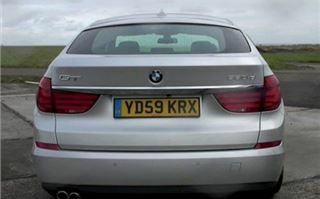 Even on the 20” wheels on the 535i we drove, with 245/40 R20 fronts and 275/35 R20 rears, the ride was surprisingly good. Though merely rear wheel drive and biased towards softer handling then is the BMW norm, you can press the Sport button and sharpen things up considerably. I don’t think you’d do that very often, but at least you know that you can. Neither of our cars had paddleshifts for the 8 speed box. 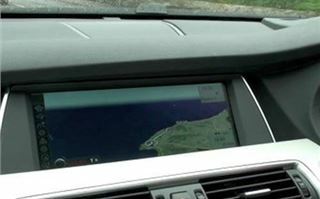 Mention must be made of the optional head up display that projects your speed digitally onto the windscreen. 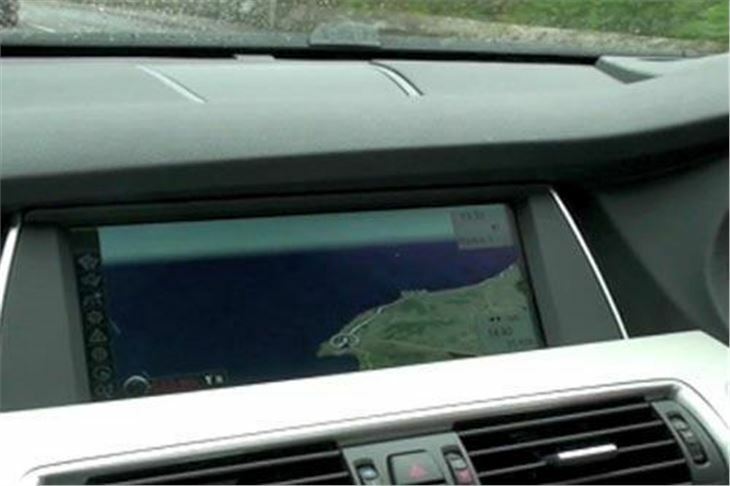 And the first panoramic satnav screen I’ve ever seen, perched in line-of-sight right at the top of the dash as if conceived as part of the dash in the first place rather than as an afterthought. A slight problem I have with the car is that it’s built as a vehicle for covering great distances, and if most of us want to do that on business, these days, we take a plane. It’s just a little bit big for everyday use, almost as if you’d need a tender car for trips to the shops. But if you do have to cover significant distances by road, and particularly if two, three or four of you do, I can’t think of a better vehicle in which to undertake those journeys.